The Moto X Pure Edition is not just the best giant Android smartphone or the best Android phone for the money. It is the best Android phone ... period. It's everything a great smartphone should be: It's thin, beautiful, fast, has a battery that will get you through the day, it has an awesome 5.7-inch display, a great camera, a super-fast turbo-charging battery, yadda yadda ... yawn. Every high-end smartphone has all of those features. But there are three things that make the Moto X Pure Edition particularly special and worthy of the "best ever" recognition. Smartphones are deeply personal items -- they're with us all the time. More than any other smartphone maker, Motorola gets how important it is to tailor its smartphones to its customers. Like Motorola's two previous Moto X phones, the Pure Edition comes in a huge variety of colors and materials. There are hundreds of different options to choose from, including grippy silicone models in a dozen colors, multiple wood grains and differently styled leather backs. Motorola's software is also personal. It's mostly Android as Google (GOOGL) intended it, with just a few welcome tweaks that make your phone your own. For example, the Moto X Pure Edition can change its settings depending on when and where you are. It can go into vibrate automatically when you're at work, read texts aloud when you're driving, announce who's calling when you're home and silence itself when you're asleep. It even comes with an increasingly rare SD card slot, allowing customers to cheaply add storage to their devices and avoid the single biggest ripoff from cell phone companies. The Moto X Pure Edition will only be offered unlocked and without a contract, meaning you won't be able to buy a subsidized Moto X directly from your carrier. But it will work on any of the four nationwide cell phone companies. You can use the same exact phone on Sprint (S), T-Mobile (TMUS), AT&T (T) or Verizon's (VZ) networks. That will give you so much more freedom than you're likely used to. If T-Mobile is offering you a great deal in October, and Verizon gives you a better offer in November, you can switch with no strings attached. Motorola also believes that software updates will come in more quickly, since they won't be subject to the traditional carrier approvals that can severely delay even the most crucial updates. What makes Motorola's new phone really stand out is the price. The Moto X Pure Edition costs about $350 less than the similarly sized Apple (AAPL) iPhone 6 Plus and Samsung Galaxy Note 5. Think about that: It compares equally or favorably in hardware specifications to its top-selling rivals, but you can get the Moto X for about half the price. At $399, the Moto X Pure Edition is not only the best Android smartphone but the best phone deal as well. The battery is big enough to get you through the day, but it feels like it could have -- and should have -- been even bigger. 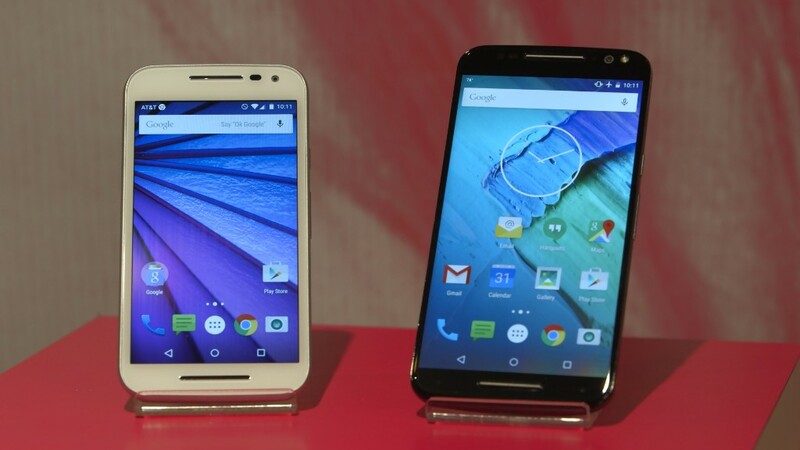 The Moto X Pure Edition is slightly thicker than the Galaxy Note 5, yet they have the same-sized battery. Notably, the Moto X makes up for it with the fastest-charging battery on the market, giving you an insane 10 hours of battery life with a 15-minute charge. Also there are a few design quirks: There's no fingerprint sensor, which is a drag. The trademark Motorola finger rest "dimple" on the back isn't positioned where it should be: It's too low on the phone to comfortably place your finger there. And the front "selfie flash" is unattractive on black versions of the phone. Still, you're not going to beat the Moto X Pure Edition's best-on-the-market combination of personalization, freedom and price. It's a stunning achievement by Motorola. The Moto X Pure edition is available for pre-orders on Wednesday on Motorola, Amazon (AMZN) and BestBuy's (BBY) website. Motorola says the phone will begin shipping in the next few weeks.